1. For plaintiffs, take a good look at whether adding a RICO count will really help your case. Will RICO delay or complicate it, increase costs. Be careful about putting a case in federal court solely because of the RICO statute. Because sometimes smaller claims or contract disputes have been filed under RICO, judges approach the claims with a healthy skepticism. 2. Fraud is a material misrepresentation of fact on which the recipient relies. For plaintiffs be prepared to state what was said and when, and why it is false or misleading. If you are an attorney, you are better off pushing your client for specifics pre-suit then having the defendant or the court push you later. 3. You need to plead predicate acts. Better off having 2 or 3 clear ones, then a group of broad-based allegations of which none can be clearly proven at the time of suit. 4. Be careful about filing a case under RICO with the idea of scaring the defendant and securing a prompt settlement. You may simply end up complicating and delaying your case. Motions to dismiss are frequent and some Magistrates handling discovery will delay the case until the motion is decided which may be months. 5. The statute is already complicated enough. Try to make your case simple. The judge will look at the predicate acts, spell out the other illegal acts clearly and simply. Having 3 or 4 well-pled predicate acts is usually better than 10 or 20 vaguely stated. Don’t create more work for the judge hearing your case. I have included a number of Supreme Court or other cases interpreting the RICO statute. Those are categorized under RICO cases. Those interested can review them while others may wish to look at the shorter commentary. How we can help you. I am happy to provide a free telephone consultation to discuss your claim or defense. 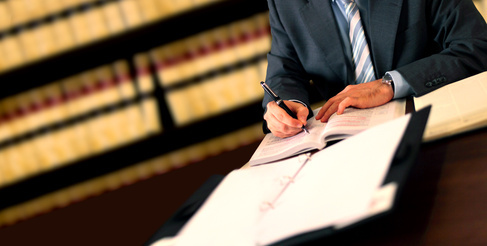 We provide evaluation, research assistance, direct representation or co-counsel, or other assistance. In cases we handle directly, our goal is to provide effective representation with attention to costs and the ultimate goals to be achieved. The article is full of new information.A new learner can learn a lot of new things from here.best of luck for your next article.